More and more people are hearing about homeopathy. So what is it and how can it help your horse. Before getting into this area, we need to look at what is health, what is homeopathy. Every single life, your horse included, has the potential to ward off sickness and disease and to heal when sickness prevails. The key to this remarkable and inbuilt ability is the immune system. When the immune system is healthy, this is exactly what happens. Sickness and disease only ever happens when the immune system is not capable of doing its job. The 20th century and the beginning of the 21st century have seen a monopoly in the health care system, for both animals and for people. This monopoly, of what I call chemical medicine, is what many consider mainstream. Without going into the details of why this monopoly has occurred, let’s examine what it does. Veterinary (chemical) medicine doesn’t understand natural health. Veterinarians are not taught about cause and effect. They are not taught about healthy diets. They are taught how to diagnose a disease and then to match a chemical drug to that label. So medicines are made to suppress the symptoms. When you suppress a natural expression, you also suppress the immune system. Repeated suppressive treatments damage the natural order of the immune system. And so it becomes compromised. While suppression appears to work because the symptoms go away, at least temporarily, you have made the overall health of the patient worse. In the short term, things appear to be better, but in the long term, overall health deteriorates. It’s always better to take a long term view of life, and health especially. All medicines, including vaccines, are chemical. All are toxic. All suppress the immune system by subjugating the natural expression of the body. 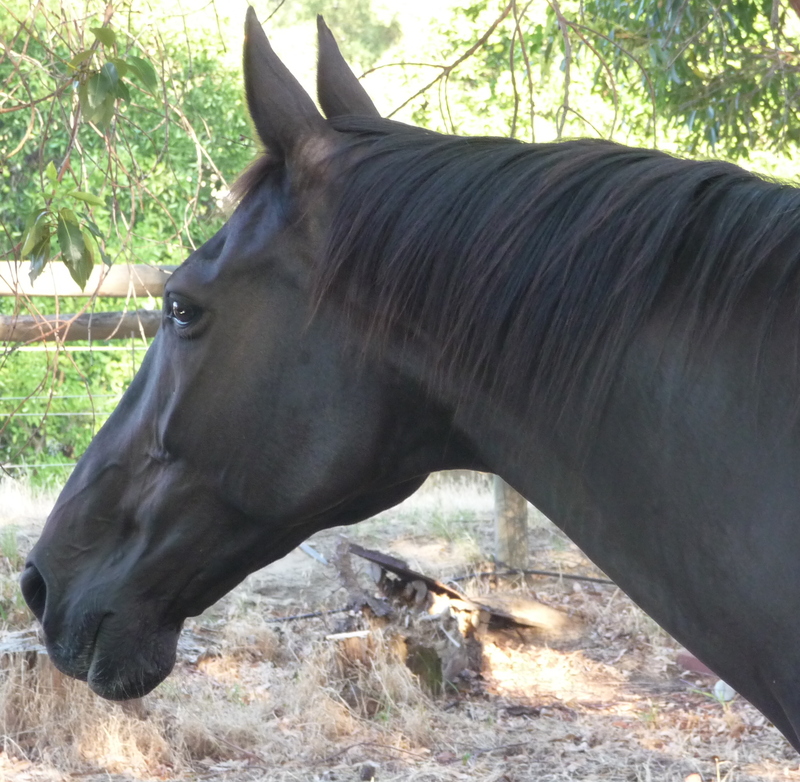 Many are poisonous and cause damage, especially to sensitive animals like horses. Many medicines cause neurological damage, or damage to the nervous system, including the brain. The chemical medical system has no philosophy. This means it is not scientific in the true sense of the word. Fads come and go. Yesterday it was the germ theory. Today, it is the gene theory. Tomorrow …? This mainstream medical system, supported by veterinarians and doctors alike, has created a highly lucrative income for the pharmaceutical industry. One which they are not going to give up easily. Natural therapies, including homeopathy, pose a very real threat to this income. Why? Because homeopathy does not suppress the immune system. Homeopathy works with the immune system, supporting it, strengthening it, re-balancing it, restoring its full function. This means the overall health of the patient improves. When the overall health of a patient improves, they become healthy. They no longer get sick or have a disease. Although this is the very worthy aim of most people, for themselves and for their horse, it makes no financial sense! You don’t make money from healthy animals! The veterinary (and medical) industry would go broke, or at least suffer a huge reduction, if this was in widespread use! This is why homeopathy is not as widely used as it should be. It is being suppressed. Don’t let that deter you from using it yourself. 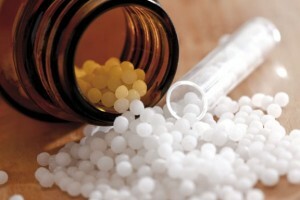 Homeopathy is a complete system of natural medicine. It has a strong philosophy which is based on natural laws. Its current form was established by Samuel Hahnemann, a German physician, over 200 years ago. But there is reference to its origins dating back to 500 BC. So, in reality, it is timeless. It is constant. The system of homeopathy is based on the firm foundation of natural laws, which don’t change. The personality, or at least individual symptoms, of your horse needs to match that of a medicine which has the same traits or symptoms. This is called the ‘law of similars’. Like cures like. This carefully selected medicine restores order and balance to your horse’s immune system. This then enables the horse to heal themselves. The problem goes away, not because of suppression, but because it can no longer remain. The horse’s body is now inhospitable to the condition. This deep healing comes from what is often referred to as ‘constitutional’ prescribing. It is the aim of all good professional homeopaths and is not within the scope of the layman. Years of training, and experience, are needed to get to this point. However, homeopathy can also be used therapeutically. This means that it is possible, to a limited degree, to use certain homeopathic medicines to heal certain conditions. Homeopaths don’t diagnose conditions and disease. Instead we collect the significant, and very individual, symptoms of the patient before making a prescription. This is complicated in constitution prescribing, but necessary in chronic, or long standing, conditions. In acute prescribing, this process is much easier. Sometimes so easy, anyone can pick it up without extensive training. For example, most people have head of Arnica, if only the cream. Those who have heard of it know it can help with bruises. But it has a far deeper action than just helping with bruises. Any, and almost every, injury can benefit from the use of the homeopathic remedy Arnica, which is taken orally. So the selection of the medicine, or remedy, can be much easier. However, it doesn’t end there. The potency, or strength, of the medicine is critical to how far it can help. As does the repetition of the remedy. More is not better with homeopathy! In conclusion, yes homeopathy can help your horse, as it can with any living being, even plants. Even when the veterinary prognosis is poor. Seek out a professional homeopath when you start out and when you have a chronic (long lasting) condition on your hands. When you are more familiar with what it can do for you, then you can learn how to use some of the common medicines in acute diseases. This is so useful when you are facing a problem at 2am or on holiday miles from anywhere. If you are inspired to take this idea further, you may be indebted to your horse, for bringing you this far! For more information, check out my Consultation Details. If you would like to find out if you can work with me or if I can help your horse (or you), you are welcome to have a complimentary 15 minute consultation, in person, by phone or by Skype/Google Hangout. Please email me for a suitable time (see Contact in menu bar). Please don’t feel you need to visit a homeopath in person to get the desired results. Most of us work by phone or by Skype/Google Hangout as well as in person. Distant prescribing can work very well.